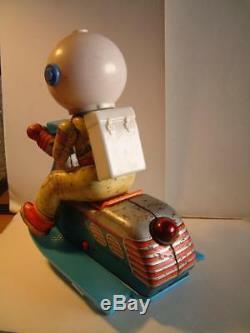 VINTAGE TIN MASUDAYA SPACE SCOOTER MODERN TOYS ASTRONAUT MT WORKING ORDER. 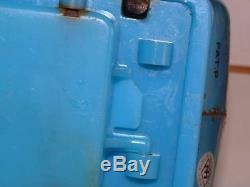 The toy show same oxydation on the litho tin and one little part of the battery lid is broken(please see photos). The item has 21 cm (8 1/4) length. 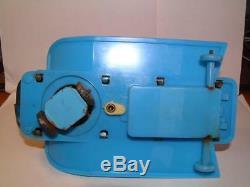 This item is in plastic and tin in played condition, but is working. TO SEL AS IS please see the photos. 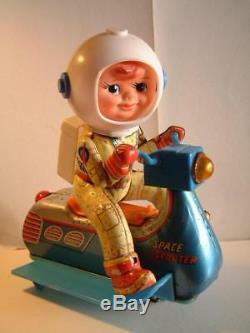 VINTAGE TIN MASUDAYA SPACE SCOOTER MODERN TOYS ASTRONAUT MT WORKING. Auctiva offers Free Image Hosting and Editing. 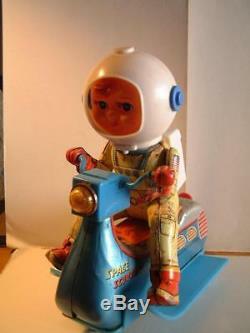 The item "VINTAGE TIN MASUDAYA SPACE SCOOTER MODERN TOYS ASTRONAUT MT WORKING" is in sale since Tuesday, October 23, 2018. 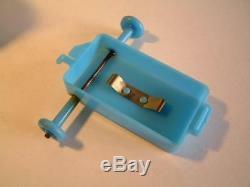 This item is in the category "Toys & Hobbies\Robots, Monsters & Space Toys\Space Toys\Pre-1970". 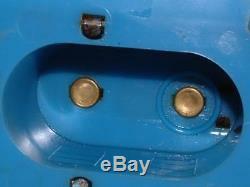 The seller is "racing43" and is located in Lisbon. This item can be shipped worldwide.